Heesen yachts unveils its largest yacht to date, 80m Heesen yacht COSMOS. The Dutch shipyard recently celebrated its 40thanniversary and has been very busy. 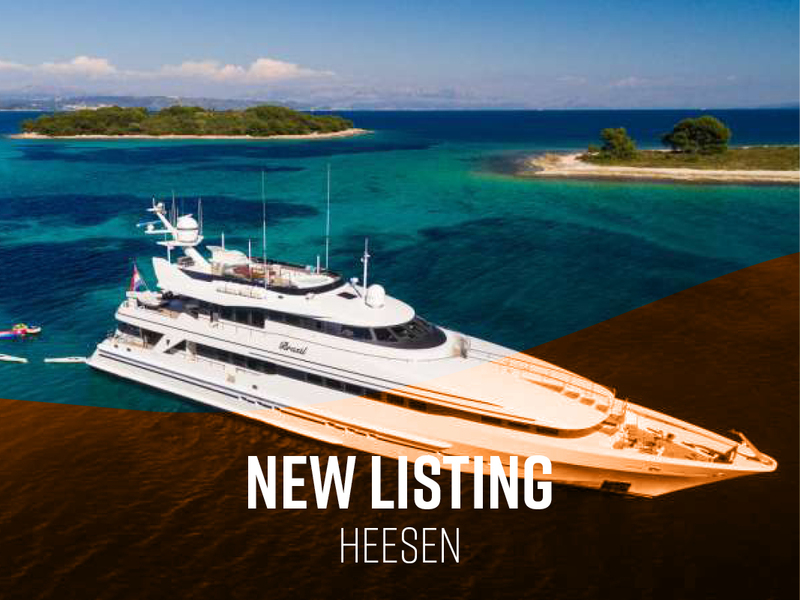 Earlier in 2018 Heesen sold 2 fully custom super yachts to be built in their 22,000 m2 shipyard in Winterskwijk. 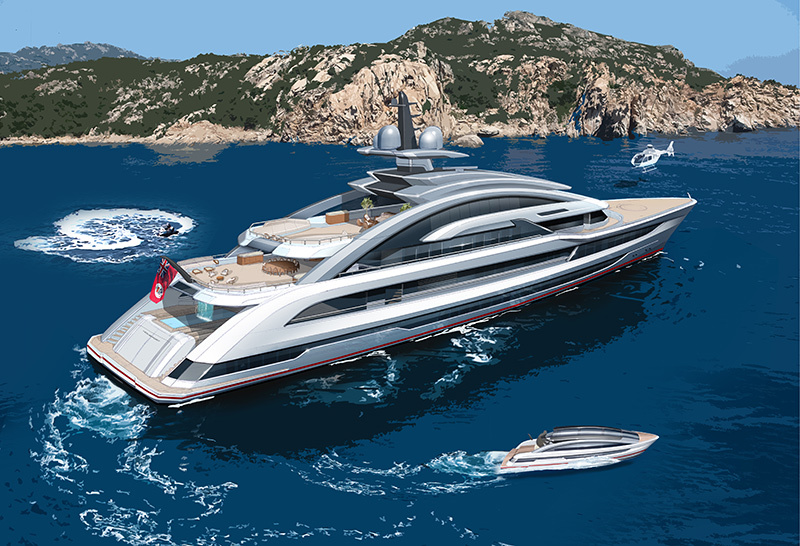 The 60m Project FALCON and the massive 80m Project COSMOS have a combined Gross tonnage of 2,760 GT, 80% of the entire weight of the 6 yachts the Dutch shipbuilder sold in 2017. 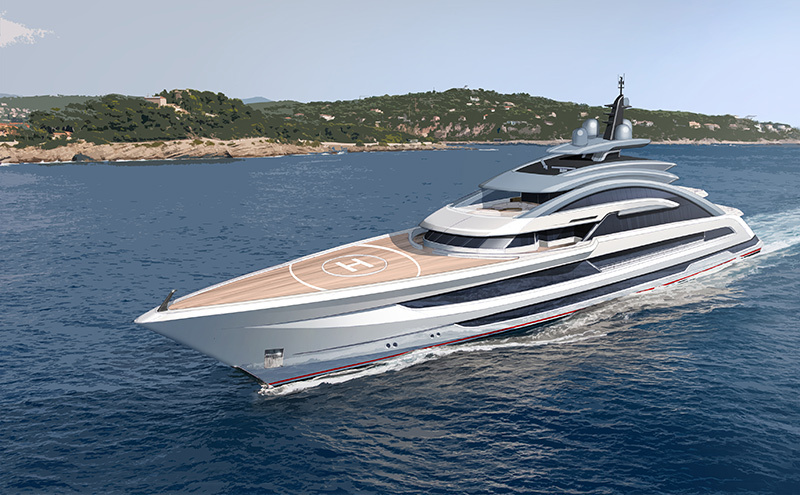 The buyers of Heesen yacht COSMOS had 2 simple requests. 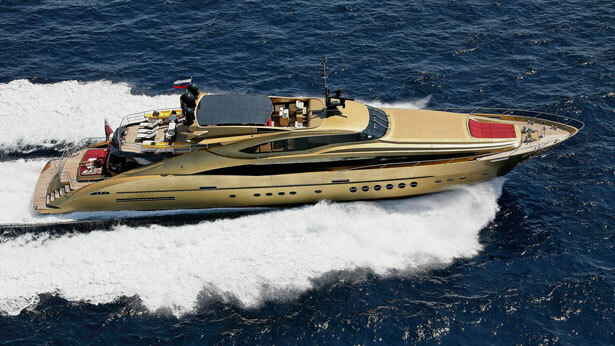 The mega yacht needed to be 80m in length and travel at a speed of 30 knots. 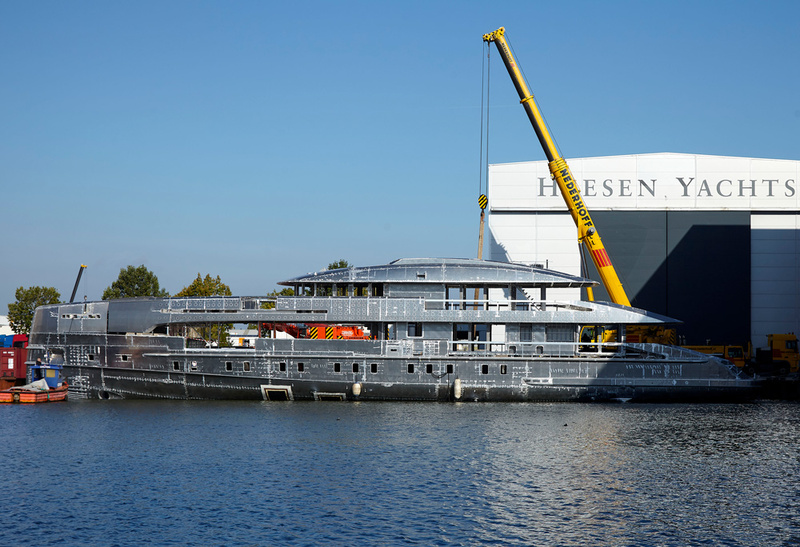 Not only was this a tall order for Heesen, but something they had never done before. The aluminum yacht weighs 500 GT more than Heesen yacht GALACTICA SUPER NOVA so achieving the goal speed posed a problem. 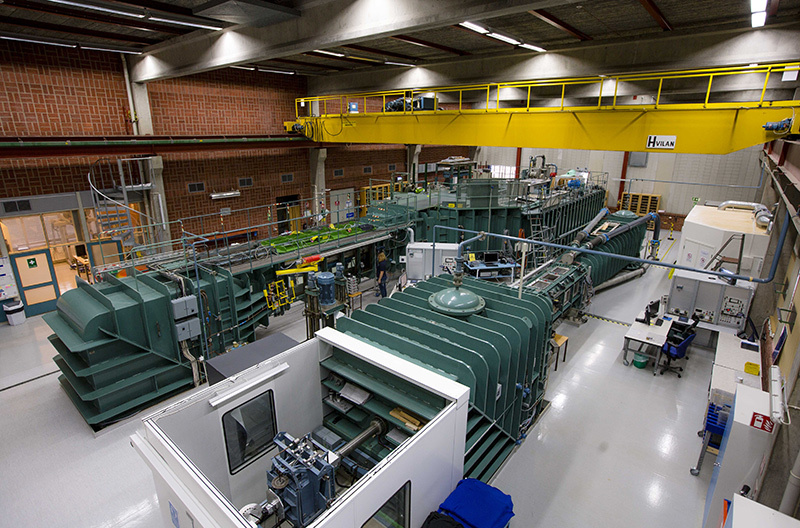 After a structural feasibility study by van Oossanen Naval Architects, Heesen knew COSMOS would need 4 MTU 20 V 4000 engines. Combined, the engines produce 19,000 horse power at 3,540kW each! The weight of the engines (roughly 52 tons) and the length of the vessel create structural issues. 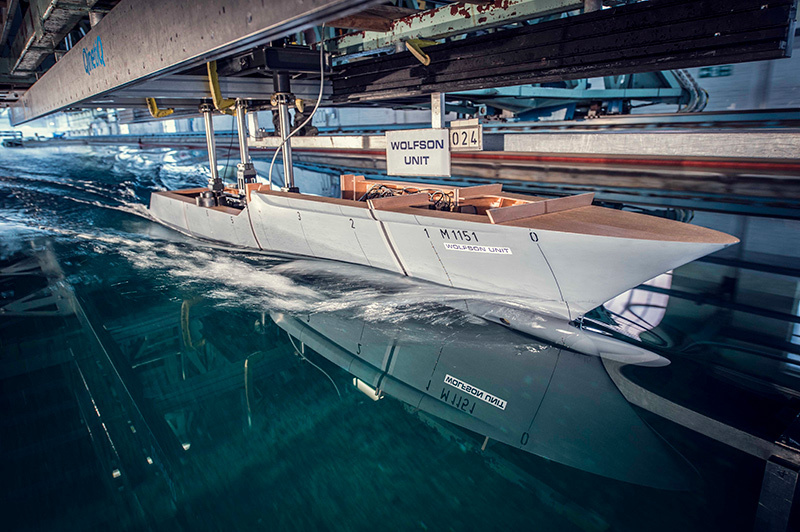 To combat this, Heesen engineers developed a patented solution they termed “The Backbone”. The backbone is essentially a giant I-beam that reinforces the keel creating a very strong section from bow to stern. 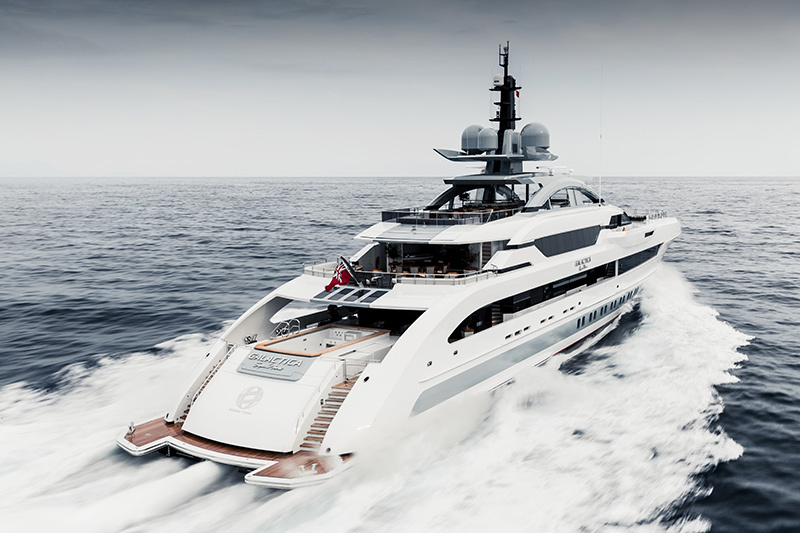 After reinforcing the structure, Heesen focused on speed. 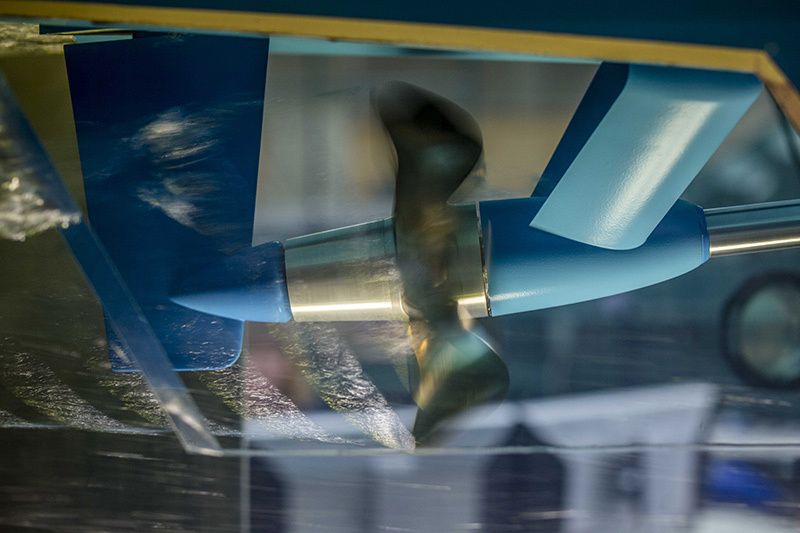 The 4 MTU engines drive two controllable pitch propellers. Two engines are linked to one gearbox and each pair is used to power one shaft. 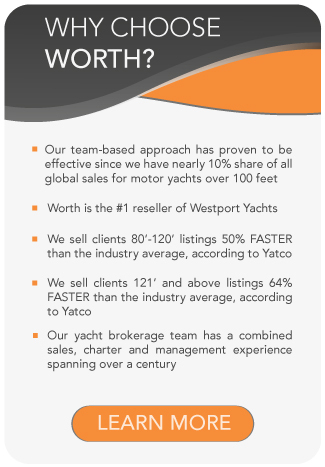 This combination allows the yacht to hit the 30-knot mark. To switch to fuel economy mode, Yacht COSMOS can switch to 2 engine-mode with one driving each shaft. Furthermore, increasing efficiency, Heesen has installed Promos rudders. The hydrodynamically efficient unit improves maneuverability and propulsive efficiency simultaneously. The buyers appointed Winch design to create the exterior and Sinot Exclusive Design for the interior. 80m Yacht COSMOS features a 270-square meter Sun Deck and an expansive flush foredeck. 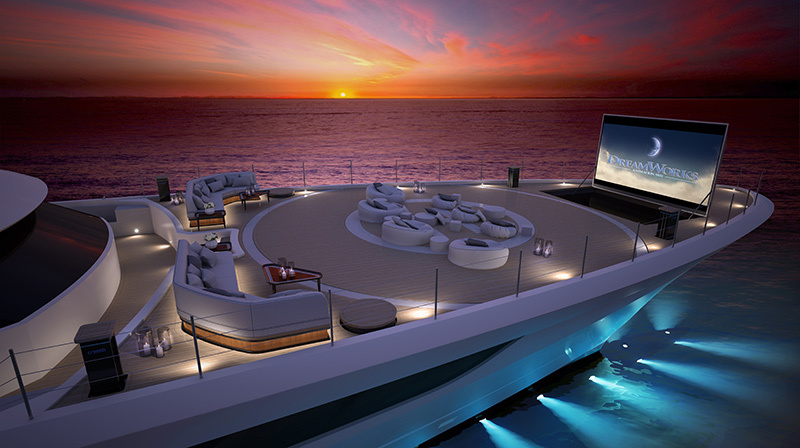 The foredeck transforms from a helicopter landing pad to a modern, state-of-the-art outdoor cinema. The yachts true glory lies in the vast beach club. Two massive platforms fold down to unveil an enormous space highlighted by a sunken bar just below the onyx and glass bottom pool above. The cascading waterfall from above sets the mood. The interior space is just as opulent. The award-winning Dutch design studio Sinot reached to nature for inspiration. Glass, natural light and well-thought-out ceiling heights create a sense of balance and a clean aesthetic. These details are offset with the use of backlit onyx, crystal glass panels and straw marquetry. Furthermore hard wood flooring, silk carpets, natural leather wall paneling and stainless-steel will set the tone. A focal point for super yacht COSMOS includes a stunning spiral staircase with stainless-steel detailing. The stairs wrap around a full glass elevator then pour onto a spacious foyer on the main deck. This creates a grand entrance to the boat. 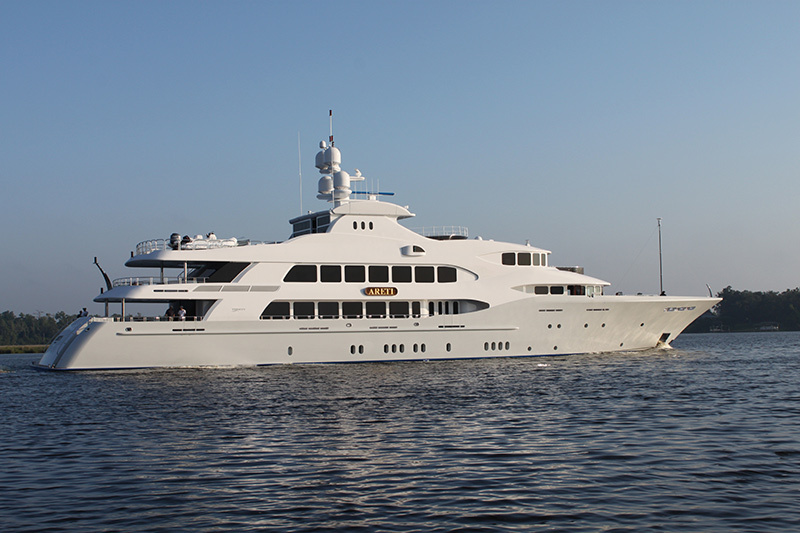 The yacht will accommodate 12 guests in four guest suites on the lower deck. A VIP with an adjacent private studio on the bridge deck. The striking master stateroom will be on the main deck forward. 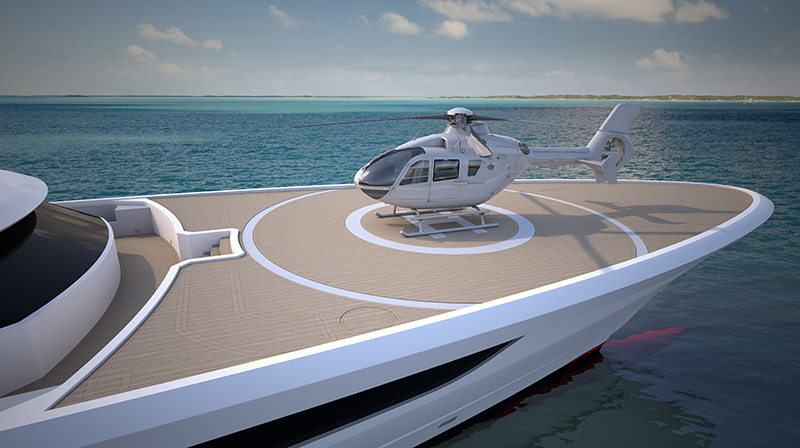 Nineteen crew in eleven cabins will be able to discretely service the guests.